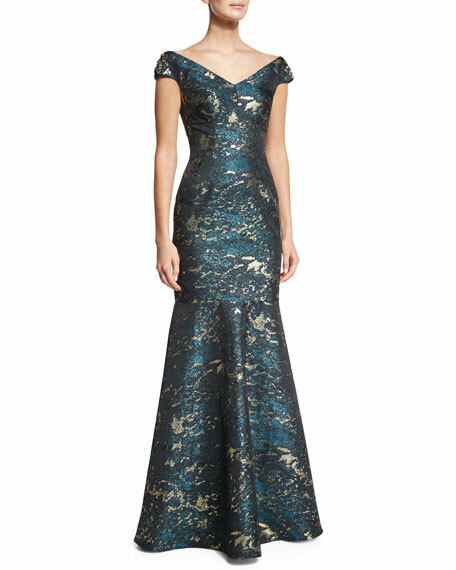 David Meister metallic brocade gown. 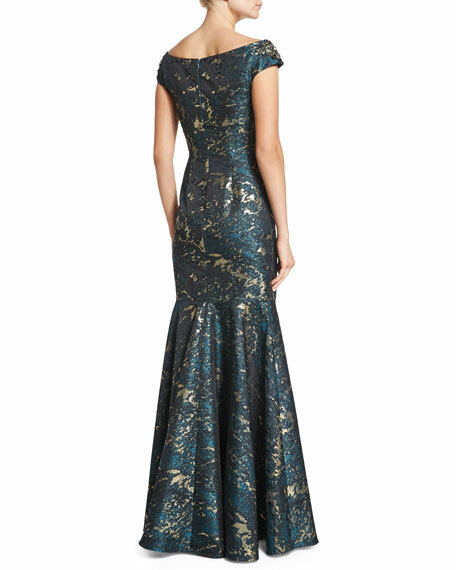 Cap sleeves with beaded applique. For in-store inquiries, use sku #1600739.